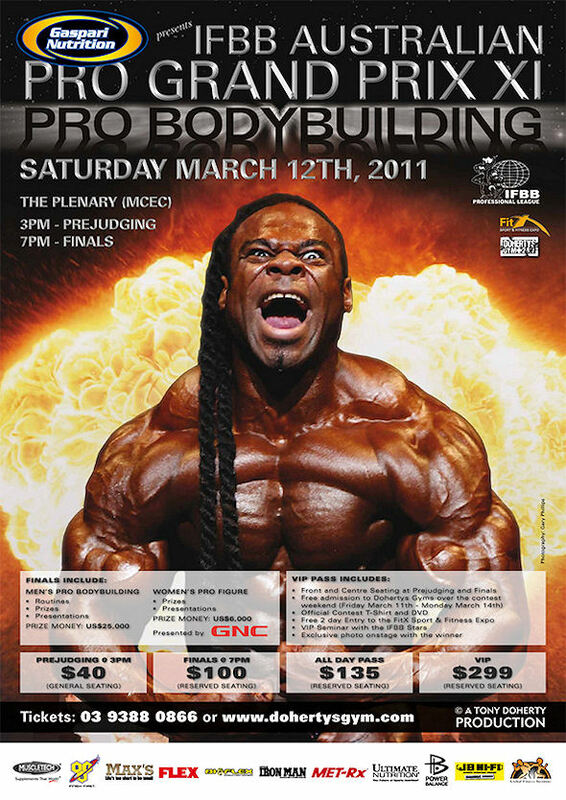 The IFBB Pro Men’s Bodybuilding contests move from London, England to Madrid, Spain for the March 26 contest. 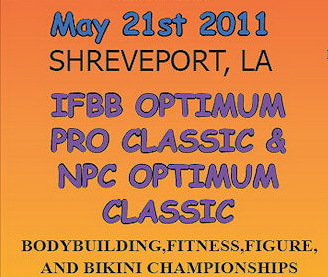 Favor Ronny Rockel is looking for a win here, and the top three at this contest get an invite to the 2011 Mr. Olympia? 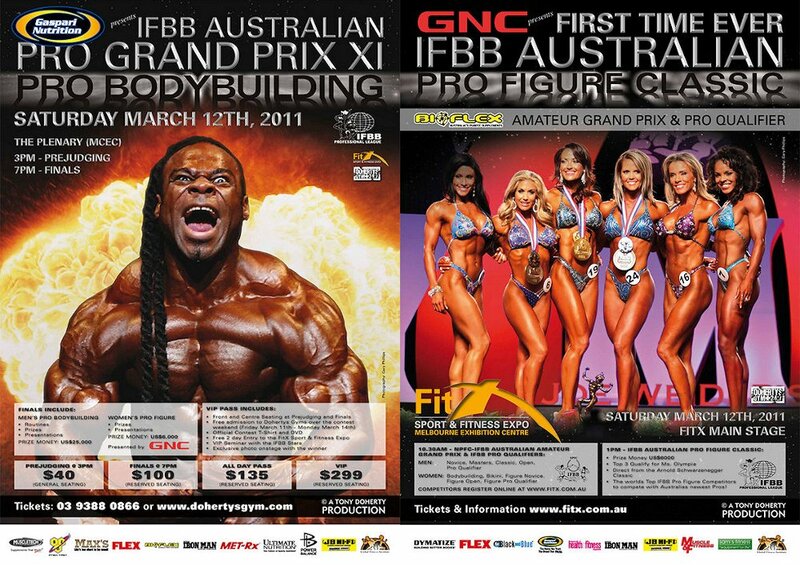 Dennis Wolf and Erin Stern Wins 2011 Australian Pro Grand Prix! 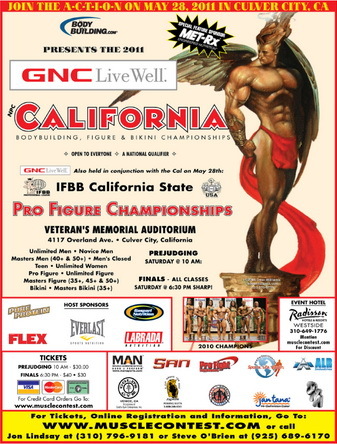 All prepaid Finals and All day tickets include one day free entry into FitX Sports and Fitness Expo. 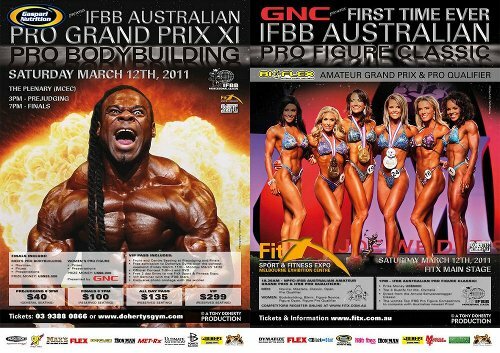 The competitor list is now out for the 2011 IFBB Australian Pro. Look for Ben Pakulski, Dennis Wolf and Johnie JOJ Jacksn fight for a first oplace win.